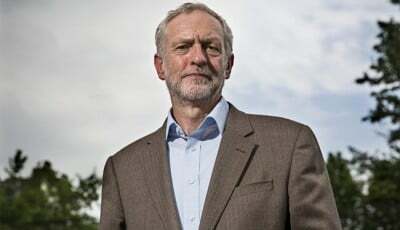 It must have been clear from the very beginning on 12 September 2015, when cheers lifted the roof and people across the land stood up, punched the air and shouted “Yes!” as the results of the Labour Party leadership elections were read out, that Jeremy Corbyn’s victory would be quickly followed by determined efforts to unseat him. And so it was. At regular intervals mainstream media kept issuing reports of unhappiness with Corbyn’s leadership among the Labour MPs, said reports always coming from ‘unnamed MPs’. Everyone else called them the Blairite MPs who were seeing Tony Blair’s precious New Labour disappear. One has to recognise that three separate events were going to coincide, more than likely by careful arrangement. After years of waiting, the report on the Chilcot Inquiry into the Iraq invasion was due to be published. In order to deflect or delay any damage to Tony Blair (and himself), Prime Minister David Cameron ruled that it would not appear until after the EU referendum. After all, the Tories had also backed Blair and voted to invade Iraq. But Cameron also decided to hold the referendum just 2 weeks before the publication of the report, presumably hoping the debate over the result, whichever way it went, would deflect our attention. At the same time the anti-Corbyn Labour MPs, headed by arch-Blairite Hilary Benn had already planned to stage their coup against Corbyn immediately after the referendum. Again, whichever way the vote went, they would base their argument on Corbyn not campaigning actively enough, being lukewarm about the EU, and repeat their argument that in a general election he would make the party unelectable. Thus, even while Britain was reeling from its decision to vote to leave the EU, the mainstream media became obsessed by the vicious and unrelenting attempts to remove Jeremy Corbyn as leader. The connections between the Chilcot Inquiry and the attempted coup against Corbyn have not passed unnoticed; among others, both former ambassador Craig Murray and former First Minister Alex Salmond have written on the subject. On the very same day of Corbyn’s landslide victory the idea of his inability to be an electable Prime Minister was being peddled. Journalists were discussing the issue in November. In January 2016 there was a further push to discredit him, the Daily Mail claiming that the Iraq war had led Labour to the ‘unelectable and unassailable’ Jeremy Corbyn, while the Spectator said he was untouchable while still being an ‘electoral disaster’. In March through to the local elections in May, the ‘persistent myth’ of Corbyn’s unelectability kept being raised by the Blairites, despite Labour’s good record in retaining and gaining seats in by-elections, despite a poll showing Labour was now ahead of the Tories; and above all, despite party members emphasising their support for their elected leader. Then, as soon as the result of the EU referendum was announced, the attempted coup –or Chicken Coup, as some named it – was in full swing. The accusation that Corbyn had not done enough to persuade Labour voters to back the Labour In campaign was pushed to its limits. Yet 60 percent had voted to stay with Europe – rather better than the Tory membership, nearly two thirds of which voted for Brexit. The mass and obviously pre-planned resignation of Shadow Cabinet members made people wonder how long this coup had been in the planning. So, let’s go back to the beginning – again. Much of the coup appears to have been orchestrated by the PR firm Portland Communications, that has many links to right-wing Labour MPs. An unnamed senior Labour party official has claimed that within a month of Corbyn’s election there was a plan in place to get rid of him. This is backed up by a report in the Times in November. And it seems that Portland Communications knew of the ‘mass resignation pact’ 6 months ago. Having decided to act after the referendum, the MPs’ demand for him to go would be based on Corbyn’s ‘lacklustre’ campaigning for the EU. How could one tell, the media being only interested in pushing negative news on Corbyn, not news on rallies and speeches? “Jeremy and I met with Angela Eagle and Hilary Benn and they said they wanted to run the European campaign and we said “fine”. But … we said that we need to agree the politics of this. We said that we can’t just go out there as simple Europhiles because, to be frank, there was a need for reform in Europe. And at that point in time they were trying to argue that we should unanimously support Cameron’s deal in Europe. We refused. Hilary Benn has been the main instigator behind this coup. Internet searches show that his campaigning for remaining in the EU was not so much lacklustre as almost invisible. The media only reported on one speech; but then, they didn’t report on Corbyn’s and McDonnell’s tireless campaigning at all. You would think someone would notice the large audiences Corbyn and McDonnell draw, but no. Angela Eagle, probably, or possibly, standing against Corbyn in a leadership election made even less impression. In the end, the campaign was headed by senior Labour MP Alan Johnson – who is now telling people ‘not to rubbish the last Labour government.’ True, Blair’s government did some very good things for this country, but it will not be forgiven for Iraq. So desperate are the coup MPs to rid themselves of the membership’s choice they have resorted to outright dishonesty. For example; following the publication of a letter from 250 Labour councillors backing Corbyn, Labourlist produced one claiming to have been signed by 600 councillors, all backing his removal. This was immediately called into question. Birmingham councillor Sharon Thompson said she had not signed the letter. Instead, she had signed one backing Corbyn. Other councillors came forward, making the same complaint. The letter on Labourlist’s website has now been amended, while it denies any responsibility for producing it. The Deputy Leader Tom Watson has rightly been criticised for his on/off support for Corbyn. On 27 June he was reported to have told the BBC that he had told Corbyn to resign as leader, but this story has been amended too many times to have any real substance. Then up pops a story that Corbyn was refusing to talk to Watson – which he has done. Corbyn’s aides were accused of preventing people from talking to him. Another ally, Diane Abbott, was said to be physically blocking the doorway (that story disappeared very quickly). John McDonnell quietly responded that “Jeremy has an open-door policy”. Watson has now told MPs that he is seeking a meeting with the trade unions in the hope they can persuade Corbyn to resign, he himself having failed. Speaking for the unions, Len McCluskey had already said they were willing to broker a peace deal between the MPs and Corbyn. But – the unions regard Corbyn as the party’s democratically elected leader, something the MPs want to ignore. It is true that Corbyn has lost the support of the majority of Labour MPs but it seems those MPs think they are there to represent themselves, not the people who voted for them. It is also true that in less than a week the party membership grew by 60,000, taking the total party membership to over 440,000. Anti-Corbyn MPs are claiming that many of these new members want to vote against Corbyn. They claimed the same last September when people registered as members and supporters before the leadership election. Not wholly true then, one doubts the truth of it now. What is patently obvious is the vast number of people rallying for Corbyn. This sorry history is full of the word ‘claim’, but that is where we are. Almost all the anti-Corbyn stories are just that – claims. Not truth, not facts with evidence attached, but claims snatched out of the air. As each one is shot down, another one appears, as fact-poor as the last. Do they never learn? Labour MP Angela Eagle now claims that “there are many people, MPs, party members up and down the country, asking me to resolve this impasse”. She does not mention the fact that her Walsall constituency party, both officers and its members, are very angry indeed. With their backing, the Chair had written to her, asking her not to back the No Confidence vote that Benn and his allies had engineered, a request, no, a mandate she ignored. So, if Jeremy Corbyn doesn’t resign, she threatens to challenge him for the leadership. Scary. Or, as the Canary puts it, she is threatening him with his own victory. Not scary – dumb. Considering the support he has among the membership this seems to be a remarkably silly challenge. But it explains why they are all so desperate to get him to go – now. Before one of them has to stand toe-to-toe with Corbyn, and be humiliated by the party members.